All round family entertainment, horses, cattle, horticulture, handicrafts, dog show, craft fair, food, children’s corner and much more. .
NWFSS exists to promote and support agricultural and horticultural shows held across North West England. Find out details for each show from our members section. Agricultural shows represent all that is good about our countryside and our events provide an excellent day out for all the family. 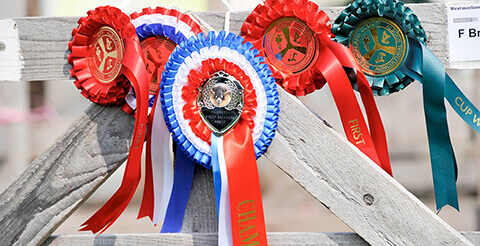 Whether at one of our large county shows or a small local village show, you will find enthusiastic competition across a wide variety of classes. In showcasing all that is good about the countryside, most events provide opportunities for local producers to sell their goods as well as providing a wide variety of entertainment. The last two years has seen renewed interest in countryside matters with increasing numbers of people supporting our shows and events. Long may this continue as there is nothing more rewarding to organisers than seeing a good crowd enjoying themselves on show day. This year we are pleased to welcome a number of new members as we seek to promote and support more local organisers. The opportunity to network and share best practice is invaluable in an increasingly complex and legislative world. Our spring conference in March is an invaluable source of knowledge both locally and from the national scene. Please contact us if you would like your event to join our federation. Visit one of our Agricultural and Horticultural Shows, Country fairs, Garden Festivals, Dog Shows, Vintage Rallies.